Argentina not only stands out for being the homeland of Maradona, Che Guevara or Lionel Messi. It also holds the record for being the country with the most pets per inhabitant. According to the results of a study conducted by the market research company GfK, 80 percent of respondents indicated that they have at least one domestic animal. It is an average much higher than the 56 percent of the global population estimated to own pets. After Argentina, the most profitable nations are Mexico (79%), Russia (73%) and the USA. (7O%). Argentina also leads among the nations that choose to have dogs as pets. 66 percent of people who own pets, opt for dogs. The preference for dogs is repeated in the other Latin nationsmericanas. This is the case of Mexico (64%) and Brazil (58%). Half of Americans with pets, on the other hand, also choose them. The places with the highest number of domestic cats per inhabitant are Russia (57%), France (41%) and the USA. (39%). In addition, in general, Europeans tend to lean towards cats as pets. 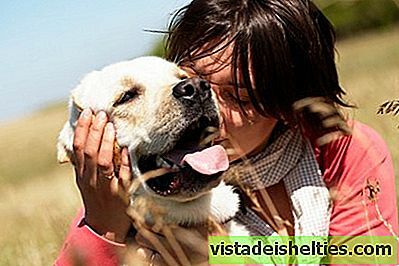 Argentina is the country with the most pets per inhabitant, according to the results of a global survey. Eighty percent of respondents reported having a companion animal and, of this percentage, 66 percent favored dogs. Three Asian countries are among those with the least amount of pets per person have: South Korea (31%), Hong Kong (35%) and Japan (37%). China is the place where fish are most popular as pets. 17 percent of those interviewed said they had them in their home. Similarly, 16 percent of the inhabitants of Turkey and 15 percent of those in Belgium showed up. 1 out of every 5 people living in Turkey, also, indicated choosing birds as pets, as well as 11 percent of the inhabitants of Spain and Brazil. The recent study by GfK confirms an investigation carried out 5 years earlier by the Millward Brown company in Latin America. On that occasion, it was concluded that Argentina was the country in that region with the largest number of pets, since 78 percent of the interviewees said they had one (63 percent, dogs and 26% cats). To reach this conclusion, 1,500 people between 18 and 65 years old were interviewed in the cities of Buenos Aires, Córdoba, Rosario and Mendoza, as well as in different localities of Buenos Aires suburban. In 1 of every 3 households where they choose to have dogs, they have more than one. Half of domestic cats share a home with a can. 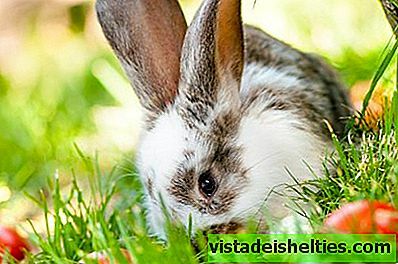 Besides the good news that Argentina is the country with the most pets per inhabitant, there are other encouraging data, since most of those consulted consider domestic animals as one more member of his family.And adoption is also prioritized over the purchase of breed animals. Thus, 76 percent of the dogs and 90 percent of the kittens arrive at the Argentine houses either as a gift or as a gift.that were picked up from the street. But, Since nothing is perfect, the percentages of pet sterilization are still very low. Undoubtedly, educating and raising awareness in this regard is a task that requires great efforts at a global level to avoid overpopulation and abandonment of domestic animals.